I posted our Weekend Woundup and Weview early this morning after we arrived at the Lazy OD Ranch from Bristol, Virginia. It gives details of our wonderful weekend and includes lots of great pictures. You can click on the highlighted link at the beginning of this paragraph to read it. For those of you that receive this post in your email Monday night, you will have to click on the link above or HERE to see the earlier post. It will not show up in your email because this is the latest post. I had something I wanted to include in that post but I could not locate the file quickly and I was much too tired to let it slow me down. This morning Kelly Jo and I emptied the holding tank on the bus and backed the bus into the barn. When that was finished I found the file. It is a video clip from our dash cam while on the way home overnight. 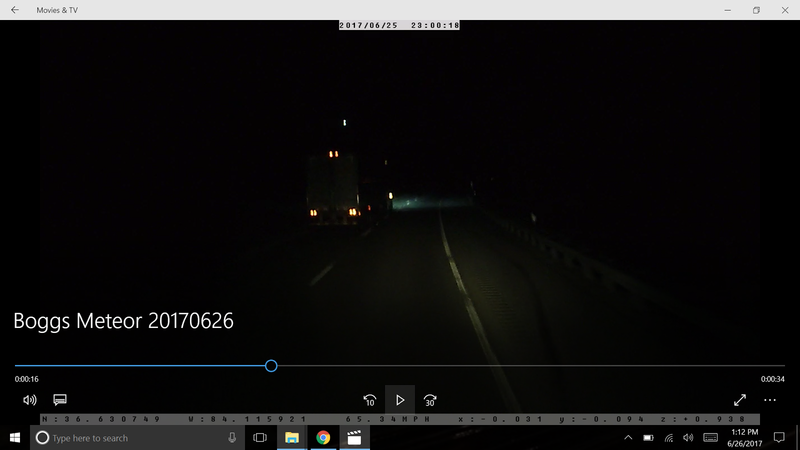 The clip says it was about 11:00 PM Sunday night but I think the dash cam must be set on Mountain time because it was actually about 1:00 AM this morning. 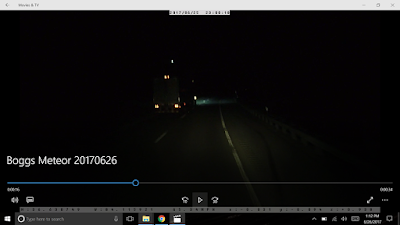 We were driving north on I-75 and had crossed Jellico mountain a few minutes before and entered into Kentucky. 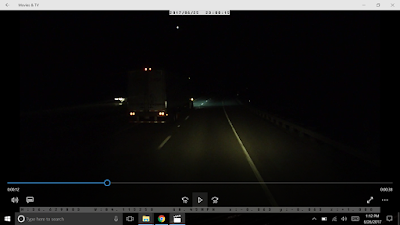 Just as a semi truck passed us a large fireball/meteor passed overhead. It was white, blue, green and yellow and burning bright. I though at first that it might be a plain about to crash. I record on low quality on the dash cam to preserve space on the memory card for more video at but times like this I wish I had been recording on the highest quality! That definitely woke me up and kept me awake for a while!